League of Legends. Dota 2. CS:GO. And now, Farming Simulator. 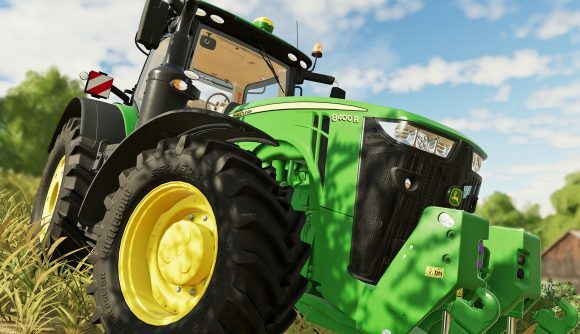 Yes, a game devoted to simulating agriculture now joins the ranks of competitive gaming, as developer Giants Software has announced a new esports push. Farming Simulator League kicks off this year, with 10 tournament events that will culminate in 2020 – and a total prize pool of €250,000. While the idea of competitive tractoring might seem like a joke, the latest Farming Simulator sales numbers suggest that there’s certainly an audience there – and Giants PR manager Martin Rabl tells the Esports Observer that interest in competitive play has been growing over the past several years. So here we are in 2019 with a proper Farming Simulator League on the way. Some tournaments will be online while others will take place at major events like Gamescom and Paris Games Week, leading into to the finals at FarmCon 2020, which will offer a €100,000 prize pool. If you want a taste of what competitive farming will look like, you can watch hours of championship action below. Giants has lined up sponsors for the League ranging from Logitech to Intel. We’ll find out more about the competition’s format in the near future, but it’ll be some sort of 3v3 team battle.